Award-winning amenities and an impressive list of home options are just the start. 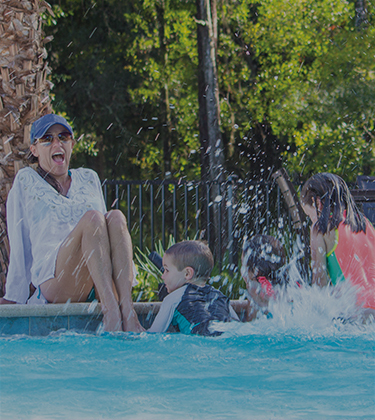 Explore the many reasons why Bexley was named the best community in the Tampa Bay area. Check out our parks, trails and on-site Twisted Sprocket Café. With better, award-winning (multiple times!) amenities and lots of options for adventure, you'll always have plenty to do in Bexley. At second roundabout, take second RIGHT. The Bexley Club is on the left (blue building). Want to learn more? Make your first stop our Information Center at The Bexley Club. Enjoy a delicious bite at the Twisted Sprocket Café, or learn all about what Bexley has to offer from one of our community specialists. Homes by WestBay’s number one goal is to offer home buyers value. This means offering a great price while delivering an exceptional experience during the home buying process. Bexley offers three different Homes by WestBay products in the community.